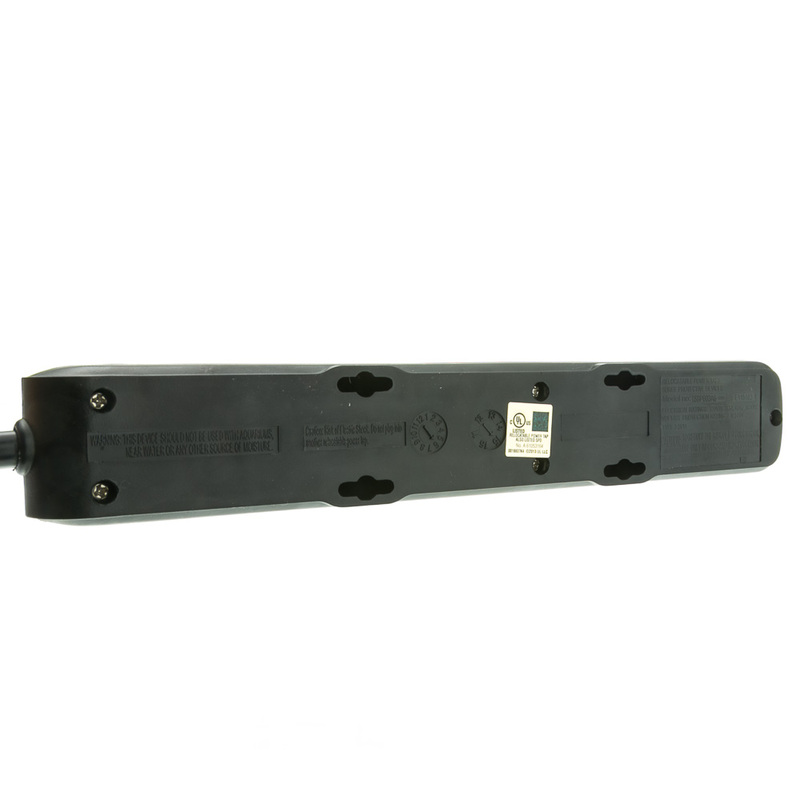 These black Surge Protectors have 6 horizontal outlets and feature a flat 360 degree rotating plug which will provide more flexibility when selecting a wall outlet. Now you can plug in behind furniture and get around other obstacles with ease. This model has a 10 foot power cord. 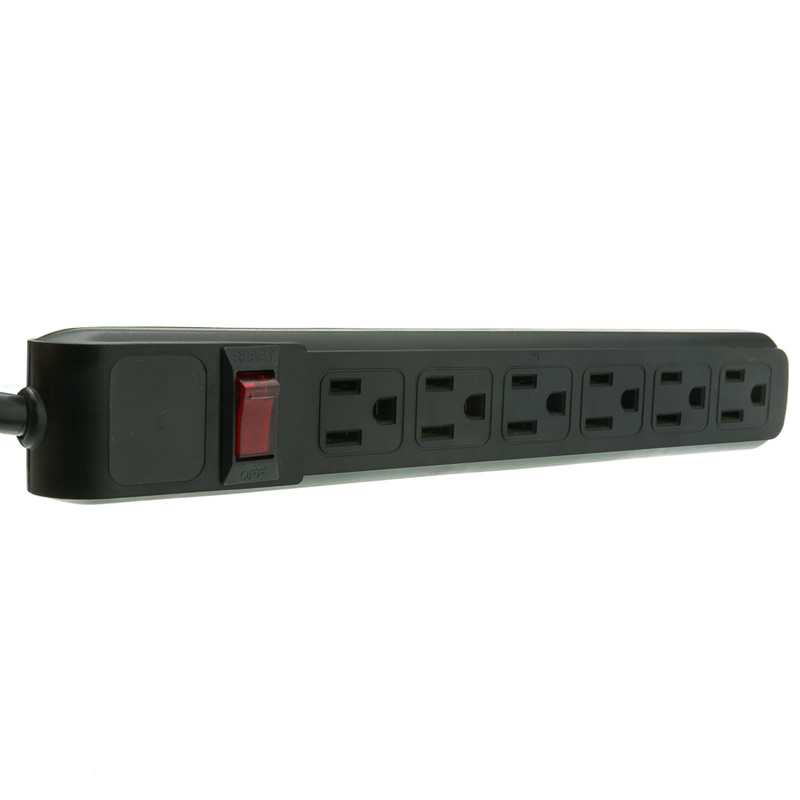 Our 6-Outlet Power Strips are UL listed, factory tested and designed for safety. 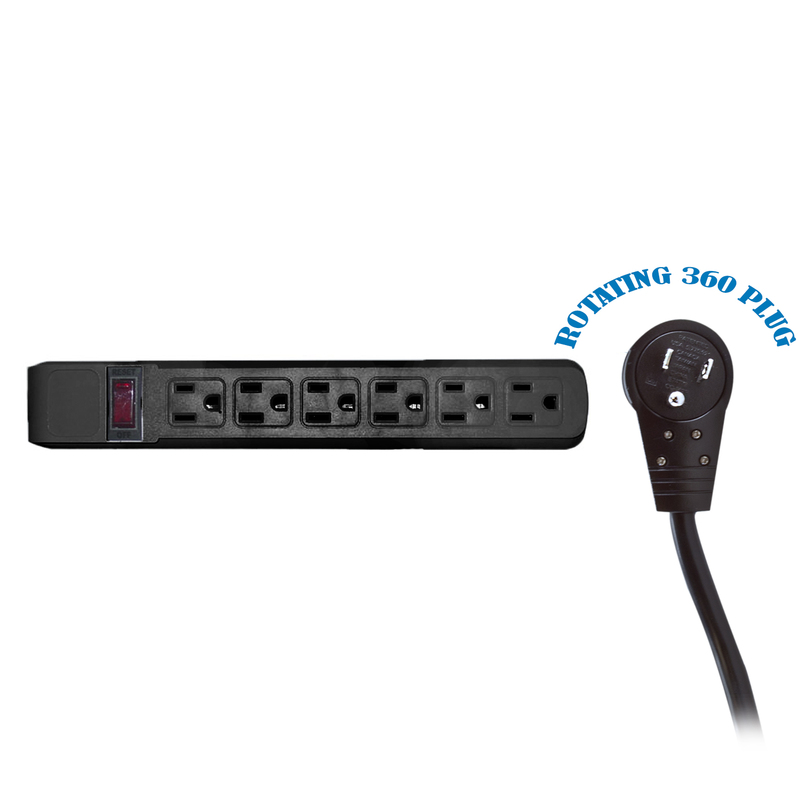 The built-in circuit breaker prevents overloading of the power strip. 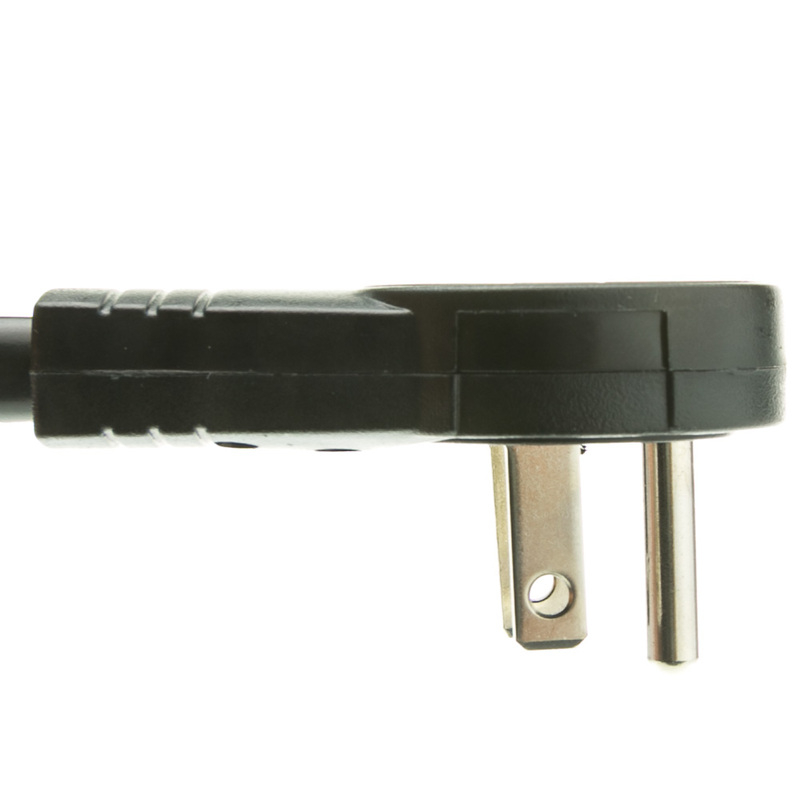 All outlets are grounded to protect you, your home and your equipment. Electrical Rating: 125 Volts AC. 15 Amps. 1800 Watts. Max Surge Voltage: 6KV. Max Surge Dissipation: 180 joules. Max Spike Current: 12000 Amps. Clamping Response Time: Less than 1 nanosecond. Temperature Range: -40 C to +80 C.
Love the flat rotating plug. Makes cable routing much easier. 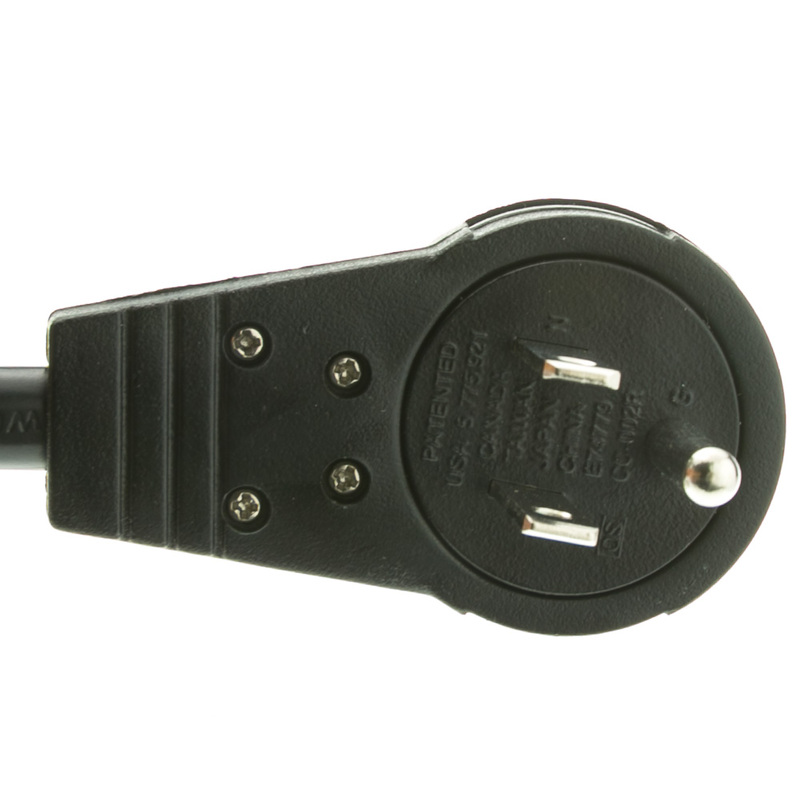 Rotating flat plug is a great concept...incredibly helpful for an older home where there aren't that many plugins in a room so you don't have many options for where to put furniture and still be able to plug in all of your electronics. Great product, these allowed me to save a few inches but more importantly give me a much tidier installation. 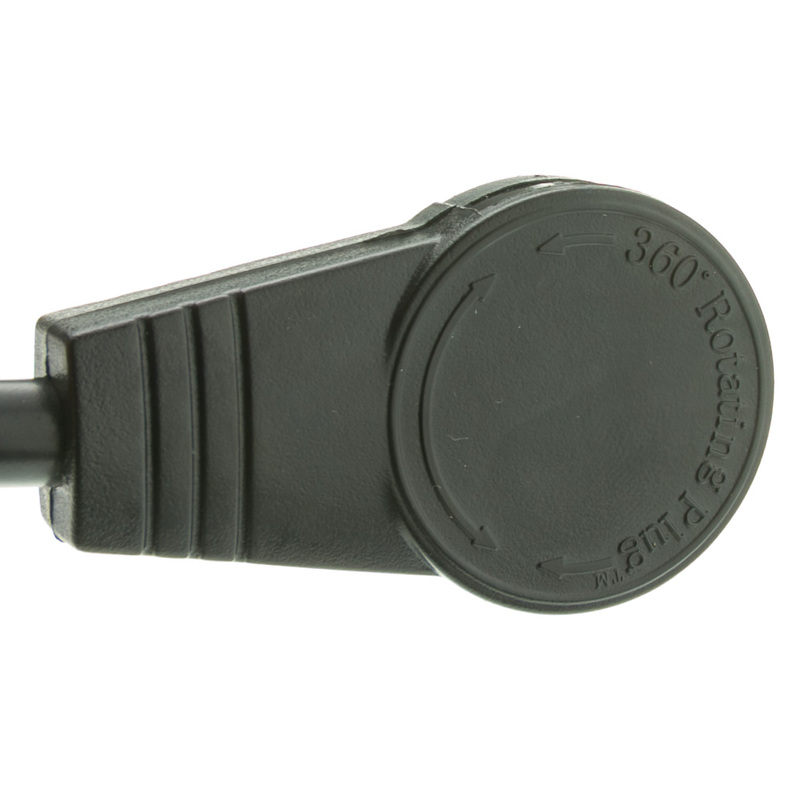 Flat, rotating plug great for when an outlet is behind a file cabinet or printer. Extra-long cable is good for the same reason...getting out from behind objects. Comes in black or white...great product. This surge protector is just what we needed. Cord length is just right, and the rotating plug is very handy.